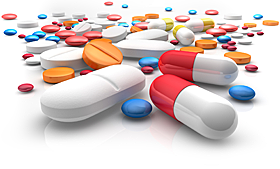 Pharmaceutical industry shows early signs of a shift towards self-regulation. Innovation can be spurred by acquisitions. Trump’s activism can perhaps be helpful to the Biotechnology Sector. President Donald Trump had made his intention clear in a Time magazine interview in December 2016, mentioning that he wishes to do something about high drug prices. Well, he is already doing something and legislation is not required for it. The pressure from the President and the public opinion on the issue are already transforming the industry in a way that Republicans or Democrats by themselves have been unable to do. The industry is more aware of the sensitive pricing issue and shifting towards self-regulation. 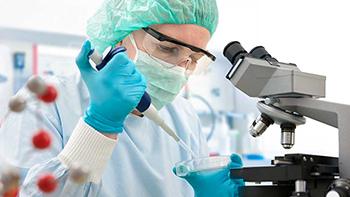 We had pointed out few instances of a shift in pharmaceutical industry thinking in a blog post in early December, and also in a recent article, Biotechnology: Is 2017 A Bonanza Year?. Last month, at a healthcare summit, Regeneron (REGN) CEO protested against the irresponsible price increases, referring to them as "ridiculous." It should be noted that Regeneron knows something about maintaining prices; it has not increased the price of Eylea, its dominant treatment for age-related macular degeneration, since its introduction in 2012. Allergan (AGN) CEO Brent Saunders, who has been a leading voice in price self-regulation and shifting the debate from prices-to-cures, has also promised to limit price increases to single digits. Just a day prior to the Trump press conference, John Carroll, Editor of Endpoints, a leading Biotech news site, hosted a drug-price forum of Pharma executives at the JP Morgan (JPM) investment conference in San Francisco. In the discussion, there was more evidence of a shift towards self-regulation. AbbVie (ABBV) CEO pledged to keep price increases capped to single digits, and joining Allergan and Novo Nordisk (NVO) who had recognized the shift and made similar pledges earlier. Johnson & Johnson (JNJ) promised to make its pricing transparent and provide aggregate price changes, while Alkermes (ALKS) CEO, just like the Regeneron CEO earlier, talked about the pernicious nature of easy price increases which stifles innovation. The Endpoint commentary can be read here. Remember, all this shift was prior to the latest Trump assault last week. Obviously, the many other industry players will now be considering when to fall-in-line, as a shift by some companies already creates peer pressure. And if for nothing else, then pharmaceuticals need to consider this for great PR and a reprieve from being tweeted out. So in some measure, President-elect Donald Trump has already succeeded without even tabling a policy Bill yet. The pressure on the pharmaceuticals industry to ramp-up innovation remains intense. As price increases at the large pharmaceuticals begin to whittle down due to general industry awareness and Trump's battering, the industry is left with innovation as its savior. When there is intense pressure to improve growth, innovation can be spurred through acquisitions. Besides the large pharmaceuticals mentioned above, Pfizer (PFE) and Sanofi (SNY) seem eager as well. And they're not alone. Joining the big pharmaceuticals are also big biotech companies like Gilead (GILD), Biogen (BIIB), and Amgen (AMGN), in the hunt for acquisitions. Celgene (CELG) appear to be better placed in terms of access to innovation, due to its multiple investments and partnerships. Incyte (INCY), a fairly large $22 billion biotech, has been referred to as a potential target due to its pipeline. The year 2017 has already started on a strong note with the recent acquisition of Ariad Pharmaceuticals (ARIA) by Japanese giant Takeda Pharmaceuticals; Merck's (MRK) partnership with Incyte on Keytruda; and Mack Pharmaceuticals (MACK) sale of cancer unit to France's Ipsen for $1 billion. Meanwhile, Johnson & Johnson is making progress on a major acquisition of Swiss biotech Actelion, known for its pulmonary arterial hypertension drug portfolio, for a price tag potentially upwards of $25 billion. One way in which Trump will help Biotechnology is by pushing for a faster FDA drug approval process. This is something he has made quite clear. In theory, a prudently faster drug approval process can over time save costs which Biotechnology and Pharmaceuticals have to incur presently, and eventually diminish the price increases for drugs. Such a move, in our belief, would be a clear positive for Biotechnology. This is kind of a hard statement to believe in, and may even appear counter-intuitive. But perhaps, Trump can be that catalyst which spurs M&A activity in Biotechnology and provides a support to valuations. 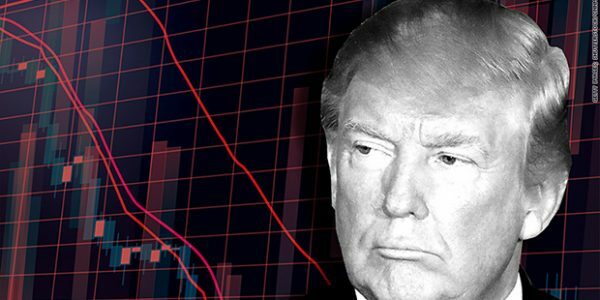 We suspect that Trump's tweets and a monthly dose of diatribe on the pharmaceutical industry can push the pharmaceuticals to shift more towards innovation, and away from relying significantly on price increases. This shift, we strongly believe, can spur the pharmaceuticals to accelerate their M&A activity, which despite much hope was fairly dormant last year. There are programs at Biotechs that have advanced over 2016 without much reflection in the valuations. In addition, the Biotech sector as a whole corrected over 21%, as represented by IBB, in 2016, thus becoming more attractive for acquisitions. This contrasts with a relatively much better performance of the broader healthcare sector, represented by healthcare ETF (XLV), which declined only -4% last year. Can Trump be the catalyst that spurs M&A in an already favorable environment for consolidation? A significant rise in M&A activity can occur in the first-half of 2017, besides a robust year compared to 2016. A favorable environment for small caps, as discussed in greater detail in article "Small Cap Stocks Breathe Fire," also indicates that a higher risk-tolerance should positively impact riskier sectors like Biotechnology. In 2016, the Prudent Biotech Portfolio was up +7% versus the IBB benchmark decline of -21%. The Graycell Small Cap Portfolio was up +71% versus Russell 2000 Small Cap Index gain of +19%. Over the past few articles, we have talked about a number of promising large cap and small cap biotech companies for a broader portfolio. These include, Incyte ; Tesaro (TSRO); Ionis Pharmaceuticals (NASDAQ:IONS); Grifols (GRFS); Alkermes (NASDAQ:ALKS); Ultragenyx Pharma (RARE); Exelis (NASDAQ:EXEL); United Therapeutics (UTHR); Sage Therapeutics (NASDAQ:SAGE); Array Biopharma (NASDAQ:ARRY); Clovis Oncology (CLVS); Colucid Pharmaceuticals (CLCD); Fibrogen (FGEN); Xencor (XNCR); Supernus Pharmaceuticals (SUPN), Achaogen (AKAO); Momenta Pharmaceuticals (MNTA); and Synergy Pharmaceuticals (SGYP). Ariad Pharmaceuticals has already been acquired. Biotech exposure can also be acquired through ETFs like iShares IBB and S&P Spdr (XBI), and leveraged ETFs like (LABU) and (LABD). The article can be read as well on Seeking Alpha.